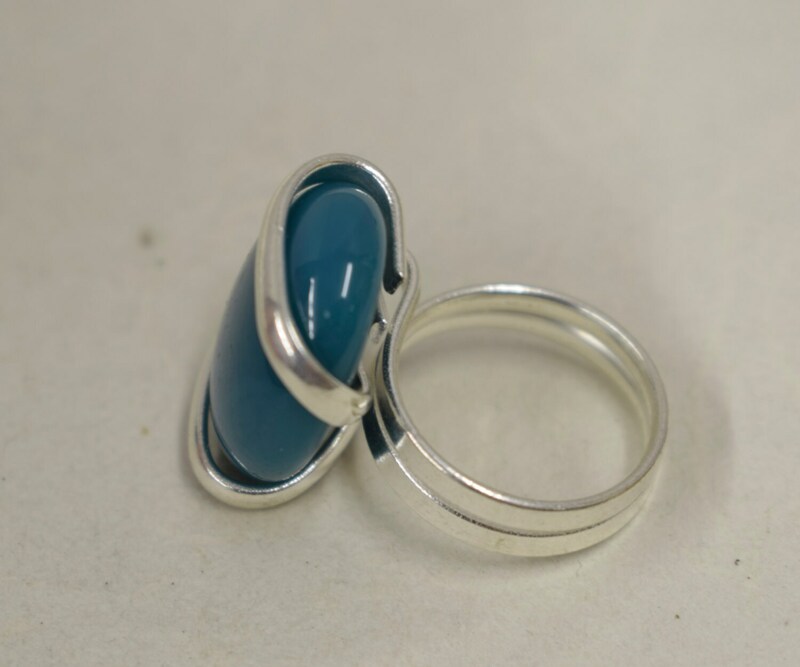 This is a unique Blue Green Colored Glass and Silver Ring. 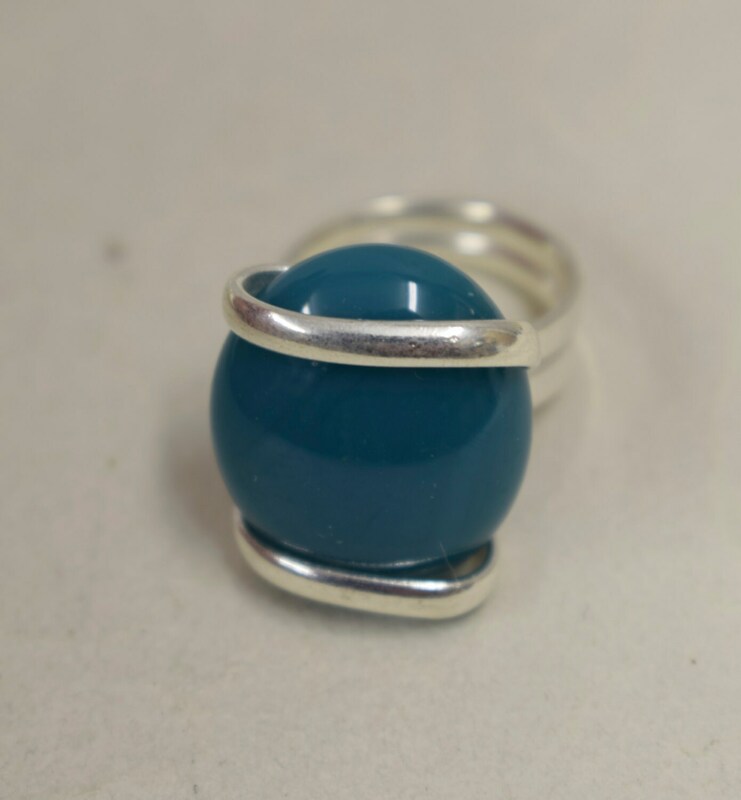 This ring is bright and colorful and could be matched up to the same color bracelet and pendant for a total fun look. 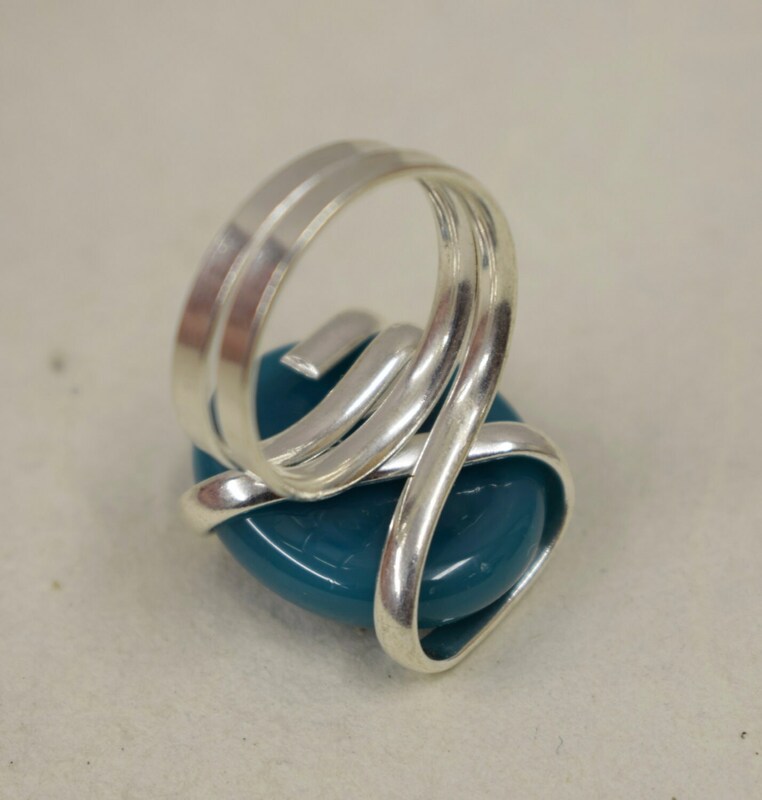 This color can be worn all year round and will match and compliment all your outfits. This would also be a wonderful gift to that special someone.